I'm working away on my new book on the 1939-40 New York World's Fair and thought it would be fun to share this image and sample caption. "Budding photographers could have some fun in a photo garden behind the pavilion. 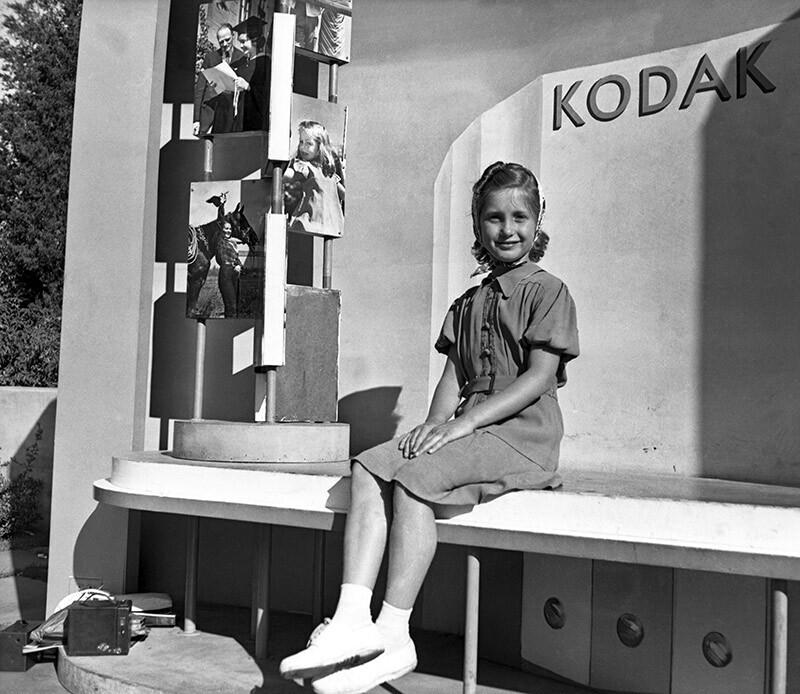 Kodak provided several small stages where they could test their skills or have a Kodak staffer take their pictures for them. This miniature copy of the pavilion didn’t last long with thousands of people climbing on it to look like Gulliver in the Land of the Lilliputians and it was only there for a short time at the start of the fair." Is that a box camera in the lower left corner? That really is an endearing photograph. I'm surprised Kodak still maintains a heritage website. That's a beautiful shot. Interesting that they didn't have a picture of the 64 Fair, and that the timeline stops in 2014. Those box cameras were popular when I was a kid. Probably made by Kodak. There were two right-angle glass viewers, one on the top and one on the side (for portrait or landscape view). The winding knob was on the side, as was the slender exposure lever that compressed a single-looped spring, which snapped back to briefly open the shutter. Not very high tech, but nostalgic just the same. 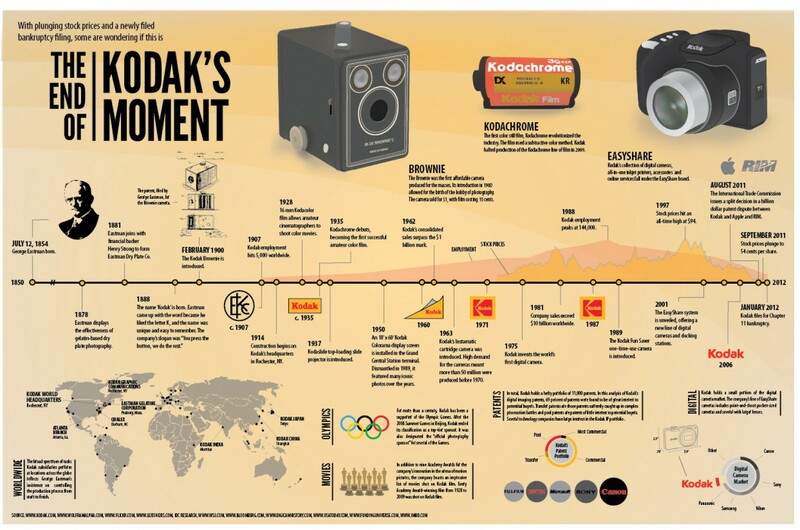 Forty years ago Kodak had over 60,000 employees in Rochester alone. Today, the company employees about 6,200 people. In spite of this, the company did emerge from Chapter Eleven , sold off patents for over 525 billion dollars and reorganized. It has changed its direction and its products and is, evidently, doing fairly well in this truly downsized version of itself. I'm not surprised it has a heritage website because its history is so intertwined with 20th Century America, Canada and much of the western world. 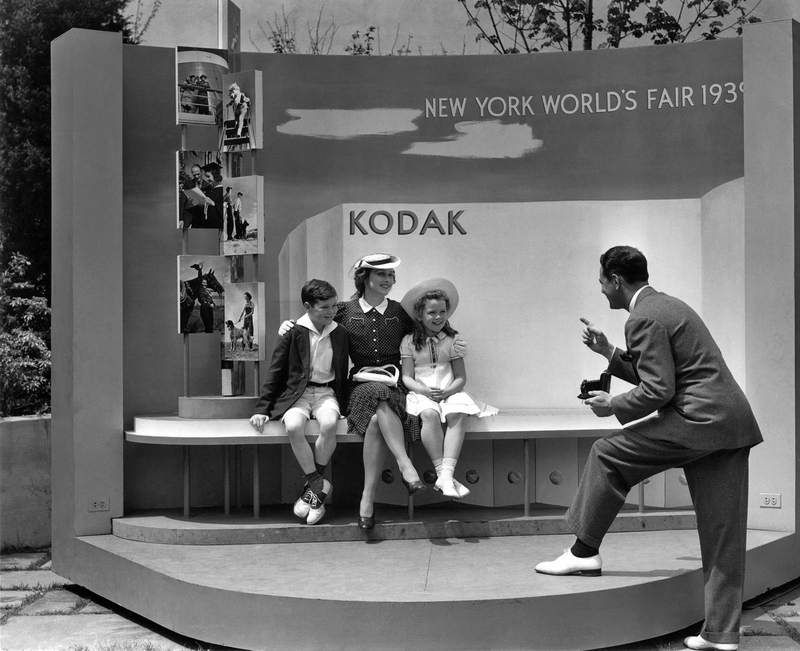 I suspect it would never again participate in a fair as it did in 1939 or 1964 but I'll bet that about 99% of the photographs taken at each fair and countless other major 20th century events were taken with a Kodak camera and printed on Kodak paper. 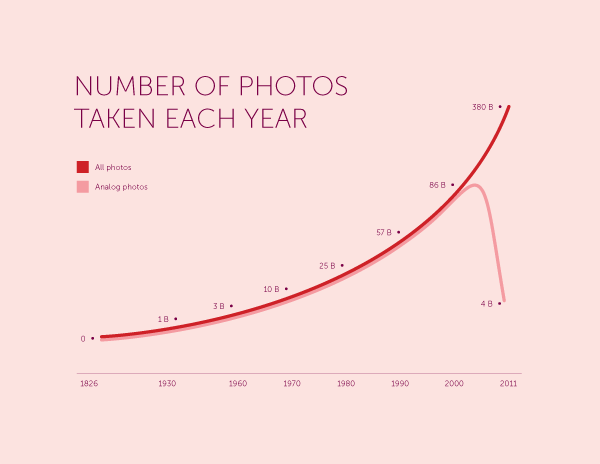 In 1991, Kodak introduced one of the first digital cameras and by 2005 introduced the first technology for sending digital images via wi-fi. Seven years after that, it filed for Chapter 11 protection. A company that, for nearly a century, had been miles ahead of its competition ran full speed into a wall. 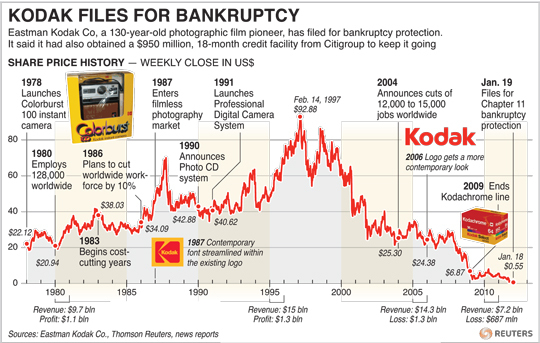 What a tragedy for Kodak, for tens of thousands of its employees, for Rochester and for American technological pre-eminence. I had an offer to work for Kodak fresh out of college, and was SO tempted. Today I am so glad I didn't. Well, we all have our reasoning. I had no skills or training that would have made me a catch for Kodak forty or more years ago, but if I had, I would have found Rochester appealing. It remains a city rich with culture, theatre, great universities and colleges, proximity to Lake Ontario and some spectacular state parks and beaches along with the Finger Lakes. Toronto is across the big lake. I think it could have provided a good life. And if I had lucked out and done well at Kodak maybe I would have transitioned to bigger opportunities at some other company or perhaps retired early with a huge nest egg or maybe even been gardening in my suburban backyard and struck oil while planting marigolds. Or I would have followed the path my life has actually taken and run head on into early lay offs, downward spiraling property values and a recession with whopping unemployment. Who knows? After four years in Potsdam I was looking to get out of the area, so that was a factor. The biggest thing though is they wanted me to work in a group that did planned obsolescence calculations so cameras would not last forever. That did and still does seem wrong, so I passed. Oh, I get it, Bill. That planned obsolescence is really a hallmark of so much of the waste in 20th Century America. I think we've done this so well that we have actually allowed people to become obsolete. Sad to hear they had such a deliberate effort. And proud to say that I never encountered such in the TV receiver industry. 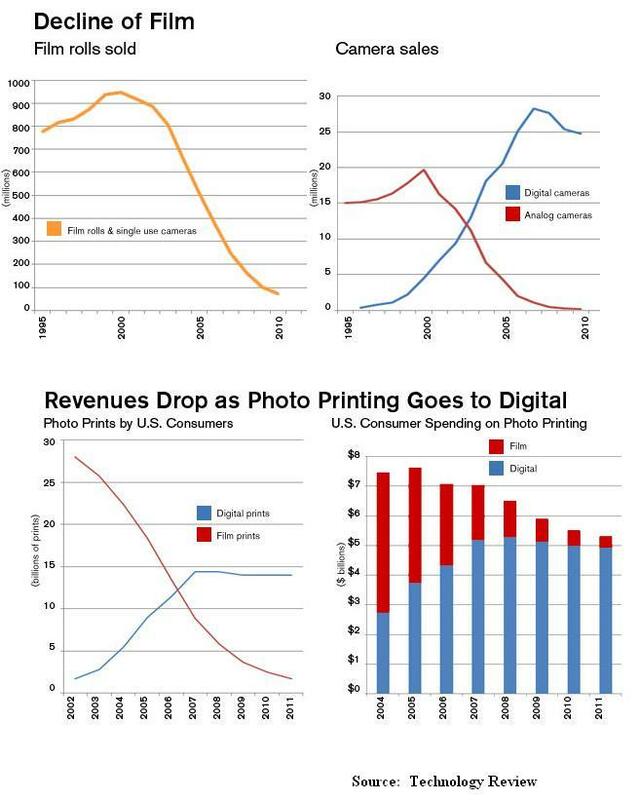 What did happen there was the continuous reduction in real cost, eventually leading to today's products that are so highly integrated as to be practically unrepairable when they do fail. Jim, speaking of Rochester: A few years after the NYWF, I was in town on business at Rochester Telephone Company (a non-Bell company) and was offered a job in their engineering department. I turned it down, one reason being the heavy snowy weather. Who knows---I might have become its president, or maybe night janitor! It becomes increasingly difficult for me to understand, but Buffalo, Rochester and Syracuse actually take pride in determining which metro area receives more snow each winter. Buffalo gets clobbered with "lake effect" snow off of Lake Erie (and generally "wins" this brainless competition perpetuated by each city's media outlets) while Rochester and Syracuse are often buried by lake effect snow from Lake Ontario. When I was young I suppose there was a certain idiotic charm to such a claim. Today, I just don't get it.